The Annabel Karmel Family Cooking app is full of recipes and delicious treats to feed you and your family. It is a steal at £3.99 with recipes that can be completed by children from ages four and up to help them develop their culinary skills. It can be difficult to keep track of everybody’s schedules, especially when after school activities are concerned. Using an app like Calendar All will help you keep your family schedule a priority and keep everybody organised! This is available from the App Store for £3.99. After a long day spent chasing after the children, the evening is the reserve for you to relax and unwind. Now is the perfect time to curl up on the sofa and enjoy a game of bingo or two on Coral’s mobile website. A perfect antidote to the stresses and strains of the day! Grandparents aren’t always known for their social media presence, so it may also be an idea to use Postino. This helpful app is free to download, and allows you to make your snapshots into snail-mail postcards. 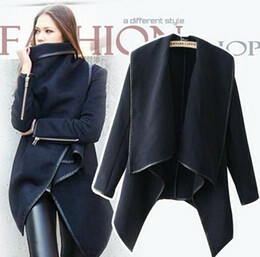 They print off your designs and post them on your behalf, and all you need to pay is the postage! There’s nothing worse than being in the queue at the bank or post office with a screaming toddler who’s bored and would much rather be elsewhere! Thankfully there are a great range of games available, such as Elmo’s World and You, which will keep them occupied. Trying to remember everyone’s favorite sandwich fillings on top of keeping track of what has run out and needs replacing can be a nightmare. An app like MyShoppi will significantly reduce stress and minimize the time you spend in the supermarket as it allows you to keep track of your grocery list and organise products by section. 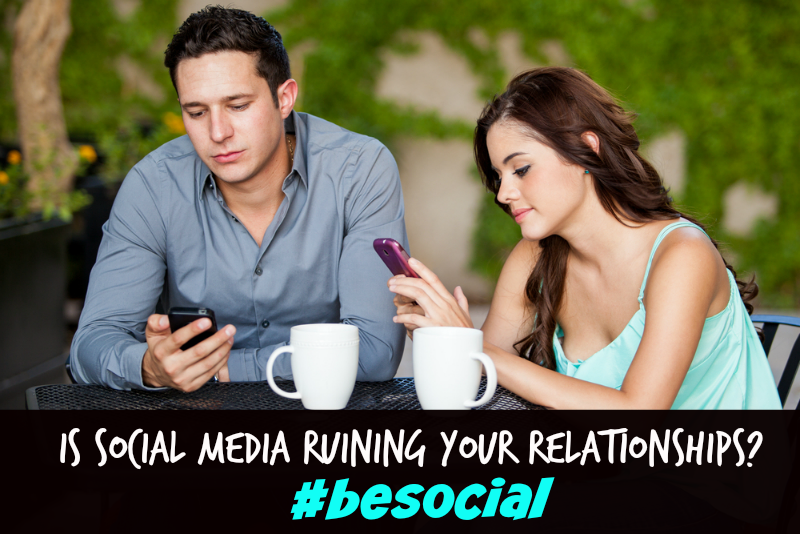 Have you wondered lately whether or not social media is ruining your personal relationships? If so, you are not alone, and (sadly) the answer is all too often “YES!” Whether it is not knowing how to speak to people in a crowd, or (worse) letting text speak annoy your friends and family away from you, it is time we all stepped away from the computer or phones and got back to real interactions. Everywhere you look, there is someone or something telling you how to lose weight, how to measure your weight, and how to feel better about your weight. In the face of that, you have the body positive campaigns that tell you to be proud of your body and love yourself as you are. What they are all missing, is that you are more than your body and your worth goes further than a number on a scale. Lean Cuisine released this wonderful video to show women that it’s more important to weigh what matters in life, and not yourself. You can see women of all shapes and sizes telling the interviewer what their greatest accomplishment is in life, and then weighing that instead of themselves on a provided scale. As one woman says, the weight of her accomplishment is “immeasurable.” This video is tear inducing, but it shows what women need to see- we are more than our weight. What do you want to weigh? My days are filled with chasing kids, running them to and from school, activities, and doctor’s appointments, night classes, and writing for my blog. On top of that, I find time to still volunteer two days per week at my daughter’s school. I try to eat healthy, but most days it’s impossible and I grab what I can. This video showed me that the other things I have accomplished, and continue to accomplish, outweigh the number on the scale I haven’t achieved just yet. If I want to weigh something, I should #WeighThis. If you’re going to weigh something, weigh what matters. 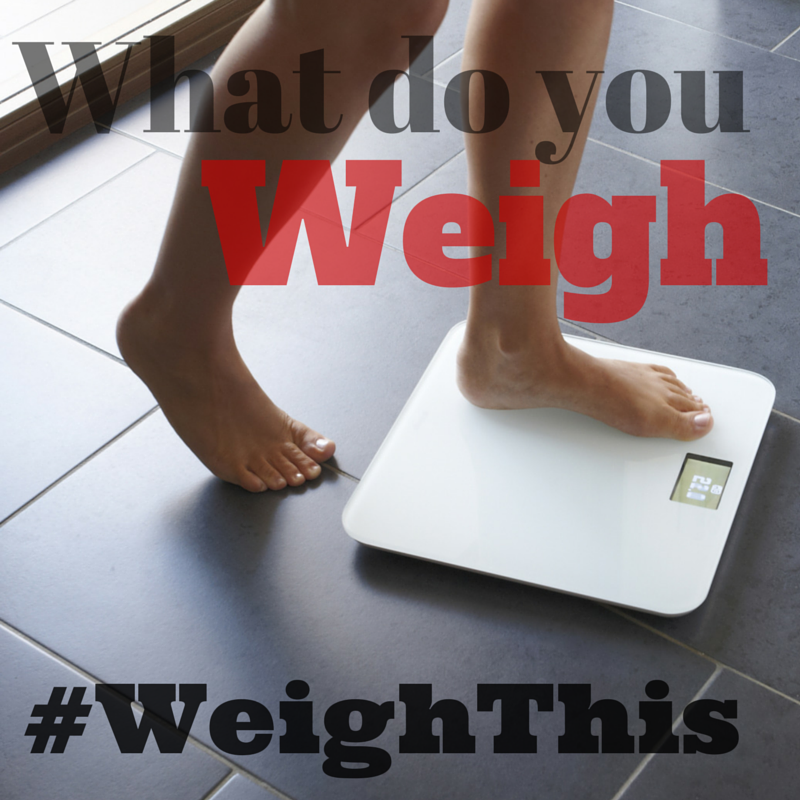 Share how you want to be weighed with the hashtag #WeighThis on twitter or Facebook today! Having a family fun day at least once a week can be a wonderful family bonding experience. If you do it while “unplugged”- away from all electronics- you can focus on one another and create wonderful memories with your kids and spouse. In the age of technology, it may be hard to think of some fun things the entire family will enjoy, but it can be done. We try to have family “unplug” night every Saturday! This is one time where we all agree to turn off our devices and just enjoy each other! I admit at first it was a struggle to get the teens to completely unplug but now they often have to remind us! We usually like to change things up and then end the night with a good movie and JOLLY TIME Pop Corn! 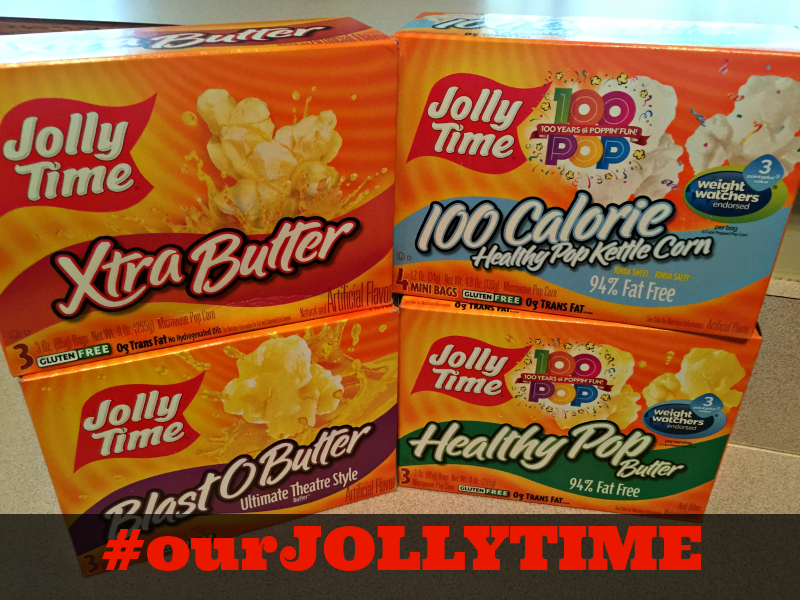 Jolly Time Pop corn is the only brand my kids will eat! With so many great flavors there is something for everyone! Since I am trying to watch my calories I love the 100 calorie Healthy Pop Kettle corn and the kids prefer the Xtra Butter or BlastObutter of course! 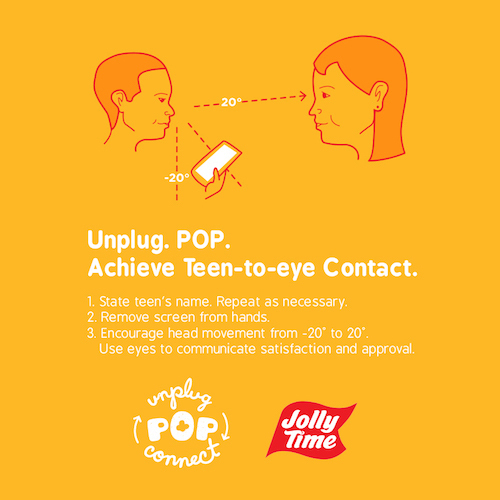 So, when I learned that JOLLY TIME has a great campaign going on called Unplug Pop Connect, that encourages families to unplug and enjoy family time, I knew it was perfect for us! So I was happy to take the pledge! Let’s face it if you have teens it’s sometimes very hard to get them to unplug! Check out a few of the following tips and ideas for having a memorable Family Fun Night with your family. Board games and puzzles: What did family fun nights consist of before the Internet? Games, but not the kind on electronics. Bust out the old-fashioned board games and puzzles and have fun competing against one another for the title of “Winner” for the week. Do family interviews: Write down a list of questions that are appropriate for each family member (ie: what is your favorite color, what’s your favorite memory) and ask each family member to respond. Have one person write down the answers and record them in a family scrapbook. Go for a walk: An after dinner walk can be good for your health, help you unwind before dinner, and provide the perfect opportunity for your family to talk to one another. Cook together: Sometimes, family fun night can get rushed because of the other things you have going on. Use dinnertime as part of the family fun night and cook together. It’s fun and teaches your kids valuable skills. 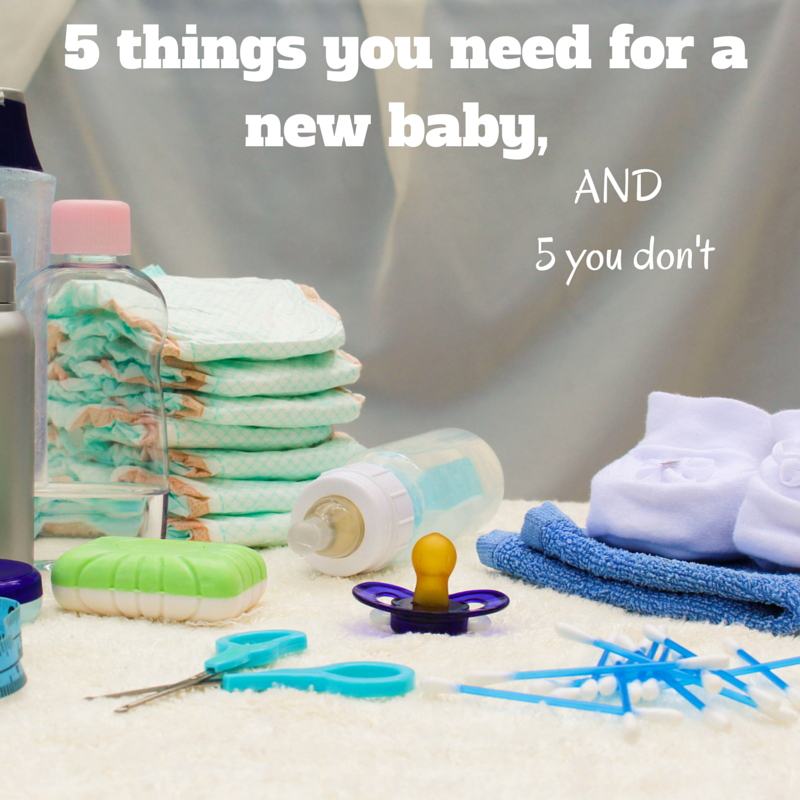 Make a craft: You can plan ahead for this one, gather all supplies, and then make a family craft together. Hang it in a spot the whole family can see and enjoy it. Play a sport. Even if you’re not the outdoors type, throwing a ball back and forth or a quick game of basketball can be a fun time for the whole family and is a great way for you to all stay active. Start a family book club: It doesn’t matter if they read to you or you read to them, or if you all read your own books, you can still start a family book club. All you have to do is discuss the books you read once a week. This helps kids learn to pay attention to details and story sequence, which is a skill they will need in school, and it’s a fun way for you to see what your kids can remember, what they enjoy reading, and for you to share your interests and ideas with them. 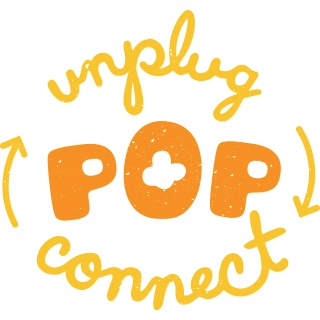 Be sure to visit the Unplug Pop Connect site and share your own family pledge in order to receive a high value coupon or possibly win a great prize package! In the comments below please tell me what you and your family do when you “unplug”?